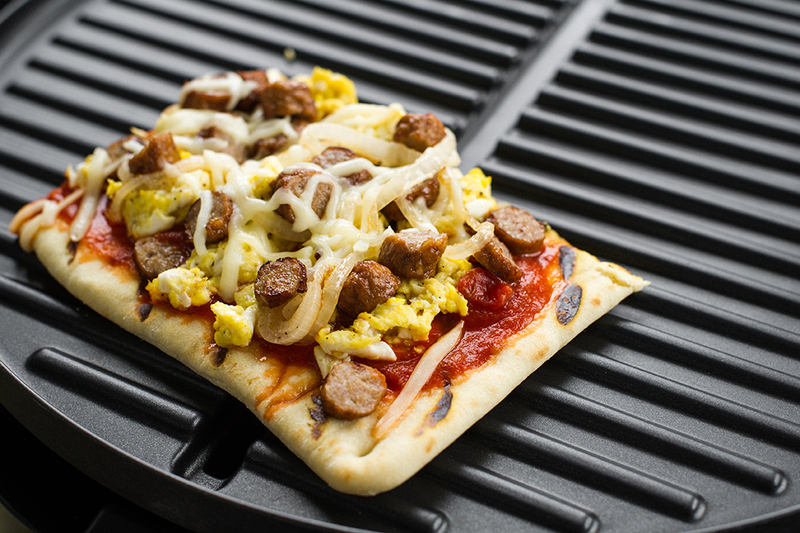 Grill up a delicious flatbread breakfast full of mozzarella cheese, eggs, sausage or a smooth ricotta and pesto flatbread. Preheat Indoor/Outdoor Grill on setting 4 for both pizzas. 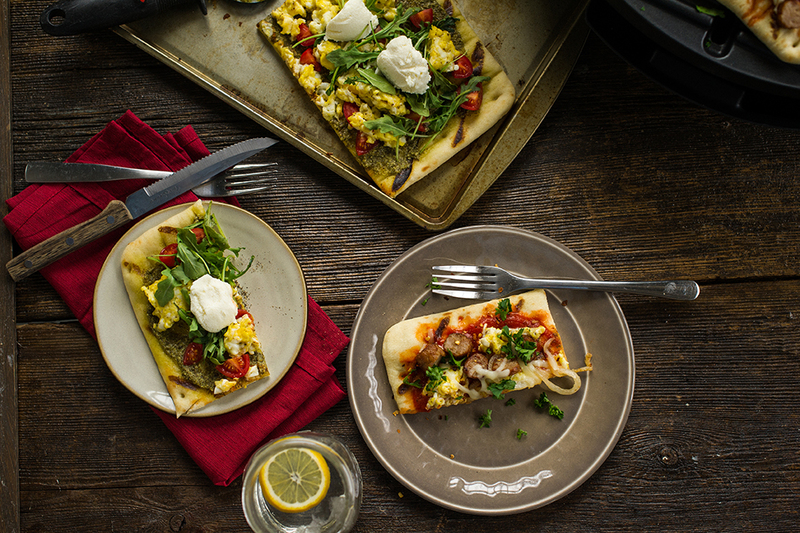 Brush flatbread pieces with olive oil. 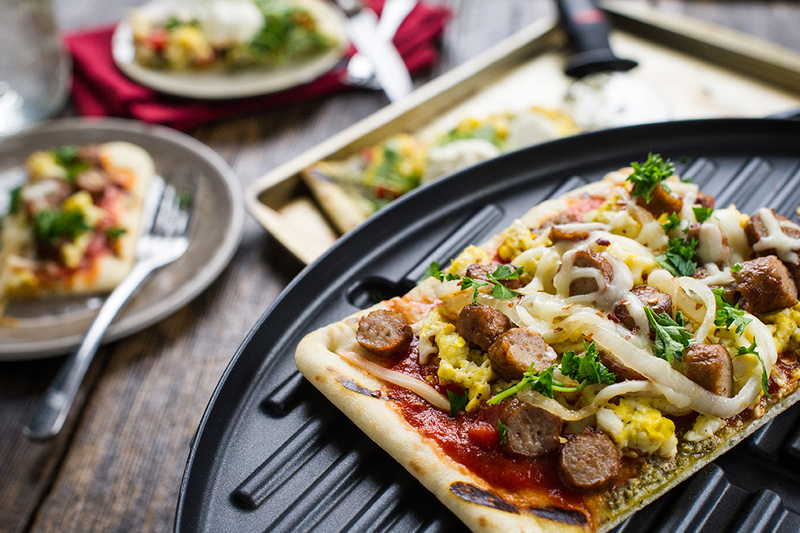 Spread tomato sauce over one flatbread crust; sprinkle with half of mozzarella cheese. Scatter onions, eggs and cooked breakfast sausage over top. Sprinkle with remaining cheese and hot pepper flakes. Grill, covered, for about 4 minutes or until cheese has melted. 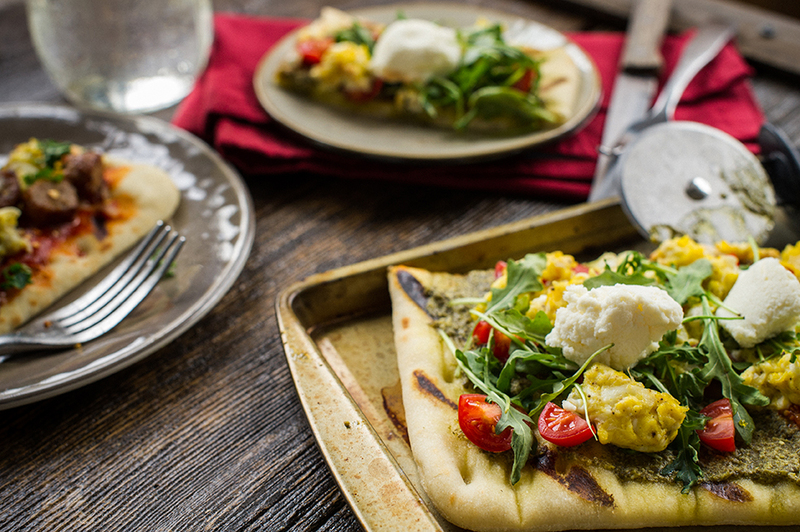 Spread pesto over remaining flatbread slice and place scrambled eggs over pesto. Drop spoonfuls of ricotta over pesto. Scatter with tomatoes and top with arugula. Grill, covered, for about 4 minutes, or until cheese has melted.